Friday 9 June 2017 - The Chairs of the 5G PPP Security Work Group, Pascal Bisson (Thales) and Jean-Philippe Wary, (Orange) announce the publication of the group's first white paper: 5G PPP Phase 1 Security Landscape. The white paper comes at the same time as the commitment to continue chairing the SEC WG through Phase 2 of the 5G PPP. 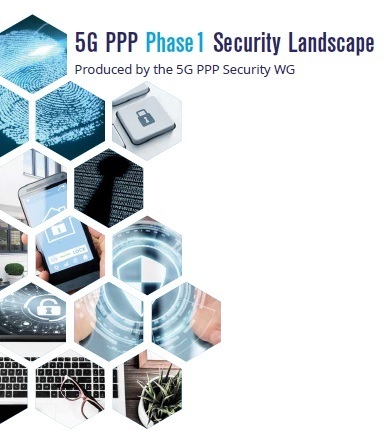 With contributions from 45 individuals from 9 5G PPP phase 1 projects, the new white paper from the Security Work Group provides an in-depth analysis of 5G security risks and challenges. Provide insights into 5G security and how it should be addressed in Phase 1 projects in terms of "what" and "why". Pave the way for Phase 2 projects and enable them to leverage the achievements from Phase 1. The in-depth white paper covers. New, major 5G security requirements and risks. 5G security architecture and how it fits with that of the 3GPP. In addition to contributions and editorial inputs from 5G-ENSURE, the white paper is the result of joint work from 5G-Ex, 5G-NORMA, CHARISMA, COGNET, SONATA, SPEED-5G, SELFNET, and VirtuWind.